Your personal apps wish list. Is there a better alternative to mySalesAgent? Is mySalesAgent really the best app in Applications category? Will mySalesAgent work good on macOS 10.13.4? 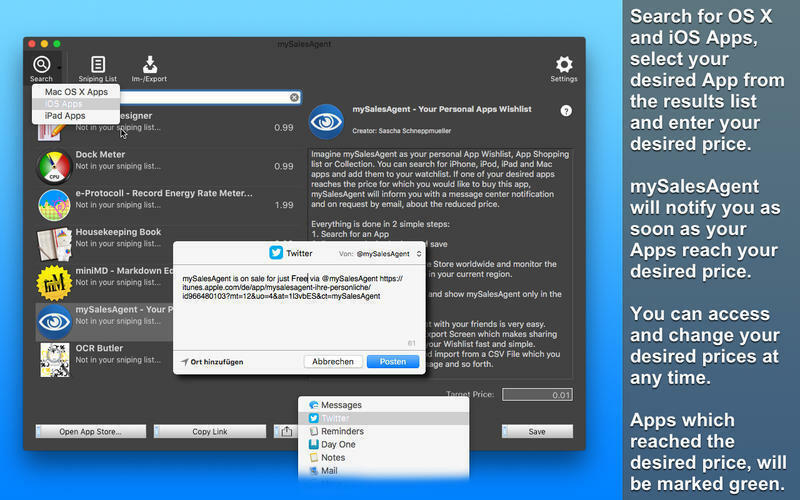 Imagine mySalesAgent as your personal app wish-list, app shopping-list, or collection. You can search for iPhone, iPod, iPad, and Mac apps, and add them to your watch list. If one of your desired apps reaches the price for which you would like to buy this app, mySalesAgent will inform you with a Notification Center message and, on request, by email, about the reduced price. The program takes you, as soon as you want to look at an app in the App Store, directly into the Mac App Store and iOS apps on the official Apple iOS App Store website. Added Light Mode Support (App is no longer dark in macOS Light Mode). mySalesAgent needs a review. Be the first to review this app and get the discussion started! mySalesAgent informs you when the app has reached your desired price. 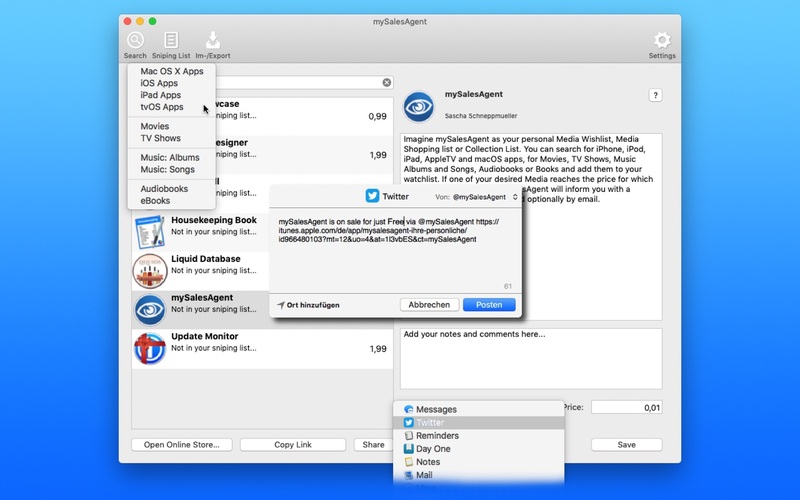 You can make mySalesAgent open automatically at Login by right-clicking on its icon on the Dock, and selecting Open at Login. 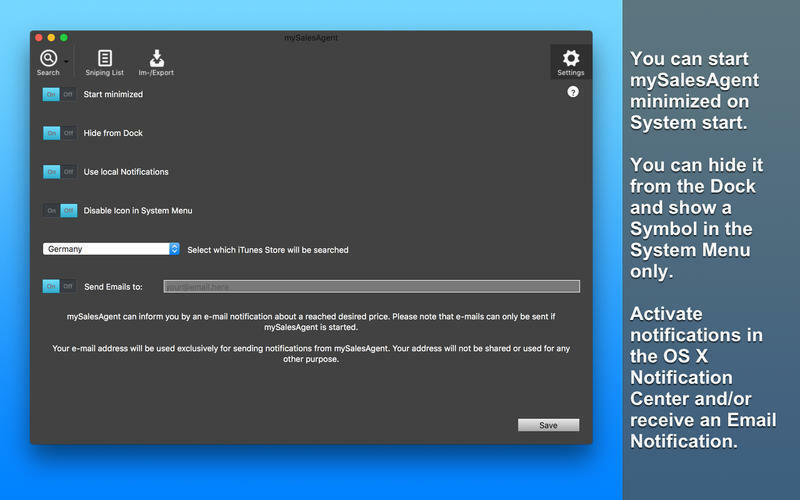 If you choose to, mySalesAgent will work from the menu bar only by removing itself from the Dock. The program is free of any advertisement and will not use in-app purchases.